Officially part of the Schengen Area since late 2007 and almost completely surrounded by other Schengen countries, entering Slovenia has never been easier. 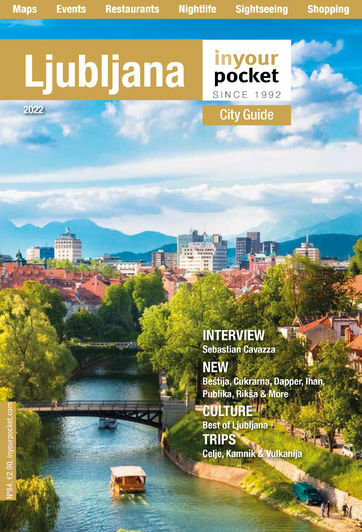 For the Ljubljana Tourist Information Centre, click here. Ljubljana's cosy little Airport is 26km northwest of the city, near Brnik. Getting there takes about 30 minutes by taxi (€35-45) or shuttle (€5-8, schedule is coordinated with flights) and roughly twice as long by bus (€4.10, up to 16 per day between 05:00-20:00). Check the airport's website for a complete schedule. Once you’ve worked out the tunnel and stair system and made it to the main train station building, find everything you need including an ATM and press stand selling top-up cards (but alas no SIM cards) for prepaid SIM accounts. Left luggage is provided courtesy of 80 coin-operated lockers with instructions in English on platform Nº1, with the toilets conveniently located next door. Getting to town depends as always on where you’re planning to stay and how fit you are. Many central hotels are within reasonable walking distance. Alternatively, find taxis outside, and make sure the metre is running before you depart. All national and international buses arrive at the central bus station which is located directly in front of the main train station. The 'temporary' prefabricated station building features little in the way of facilities for recent arrivals, making a trip to the train station almost compulsory. Perhaps the only one of its kind in the world, the bus station does however contain a Sixt car rental kiosk, with the only other useful facility being a small internet café for which tickets can be acquired from ticket window Nº1. Getting to town is the same as described above. Driving to Ljubljana is a joy due to the good roads and excellent signposting. The city is circled by a ring road from where it's easy to get to the centre. Simply follow the parking signs for convenient places to leave your car near the city centre. Once in the city, it's best to walk the short distances rather than drive through the heavy traffic and narrow street. A Vinjeta is legally required. Also, if you're staying in Old Ljubljana be aware that it is largely a pedestrian only zone.